If only all winter days could be like this - the warmth of a lingering sunset, the feel of a sandy beach beneath your feet, the excitement of scuba diving and snorkeling, the chance to relax by a sparkling pool. •	Plus, exclusive guest celebrities and entertainers on board this voyage include Wayne Newton, Rebecca Rosen, psychic medium who has appeared on Entertainment Tonight and Nightline, destination lecturer Ken Reese and much more. Book your clients by August 31, 2010 on a Mediterranean cruise and they’ll enjoy our special Penthouse savings of $4,000 per couple in category PH. Plus, they’ll receive free Business Class air and $2,000 per couple “All-Inclusive. As You Wish.” spending credits. Combine these special savings with the strength of the U.S. dollar and enjoy the value of Europe both on board and ashore. Enhance your client’s journey to Europe with Crystal’s new low-cost Business Class air upgrades starting at just $899 available on voyages 0323, 0324, and 0326. Book a Verandah stateroom by August, 31, 2010 and your clients will enjoy this limited-time upgrade offer, plus they’ll receive 2-for-1 fares as well as $2,000 per couple “All-Inclusive. As You Wish.” spending credits. And now with the stronger U.S. dollar, there has never been a better time to enjoy all Europe has to offer. Don’t miss this opportunity to make your client's vacation dreams come true with added comfort and luxury aboard the World's Best. Crystal is pleased to announce the addition of Google Translate to our website, a useful new tool to help your clients understand the general content of select areas of crystalcruises.com. You'll find the translator button on the bottom right of several pages including Special Offers, Destinations, Perfect Choice Dining and more. Currently this feature includes translations for 50 languages. We look forward to offering this on other pages throughout our website in the coming months. Just announced - Crystal's "Share the Experience" program will be extended to 2011! Your clients who are Crystal Society members will receive $100 shipboard credit for sharing the "Crystal Experience" with new-to-Crystal guests (up to 4 new-to-Crystal guests per year). The Crystal Society member and the new-to-Crystal guest each receive $100 shipboard credit when sailing on the same voyage. This referral credit is available on ALL 2011 voyages. Thanks for sharing! Sell three staterooms on New England & Canada voyages 0222, 0223, 0224, 0225 and you and a guest sail free in a Penthouse on voyage 0224 or 0225. Book your clients by July 31, 2010 on a 7- to 10-day Mexican Riviera round-trip Los Angeles cruise and they'll enjoy an additional $500 savings per person in categories A and B with our limited-time Verandah Sale. Plus, they'll also receive $500 per person “All-Inclusive. As You Wish.” spending credits. Escape winter’s chill with a conveniently close-to-home cruise in the warm waters of the Mexican Riviera aboard the World’s Best. Our January 20, 2011 cruise marks the final visit Crystal will make to this amazing, icy frontier. Don’t miss out on this incredible opportunity to sail to the world’s southernmost continent with the World’s Best cruise line. Free Business Class or Economy air is offered on most 2010 and ALL 2011 voyages! Please note: 0212-0220, 0309, 0312, and 0314 no longer offers free air. As of 4/27/2010, cruise-only fares are offered on these voyages. "All-Inclusive. As You Wish." spending credits are still applicable. Please visit our website for more details. Choose from two festive, tropical holiday voyages and your clients will receive $500 per person in “All-Inclusive. As You Wish.” spending credits. Kids sail free on our 14-day Caribbean Holiday, voyage 0331, departing December 21. On board, young guests will delight in a myriad of family-friendly activities and entertainment. Save Now. Save 20% Later. Book your clients on a Grand Exotic Voyage by September 30, 2010 and they'll save an additional 20% off a future 2011 or 2012 cruise with our "Save Now. Save Later." promotion! In addition, all guests paying in full 180 days prior to departure receive 2.5% additional Early Full Payment savings off special 2-for-1 Fares. Your clients will enjoy 2-for-1 fares and free air! Plus, $1,000 per couple in "All-Inclusive. As You Wish." spending credits when they sail to classic yet conveniently close-to home destinations aboard 11-day cruises departuring from either New York or Montréal. Note: Many of our Crystal Penthouses are already booked on these voyages, so please be sure to call Reservations at 1-800-446-6620 for the most up-to-date availability today! Join us for a Trans-Atlantic combination cruise and receive additional savings with our special combination fare, FREE AIR and up to $5,000 per couple in “All-Inclusive. As You Wish.” spending credits. 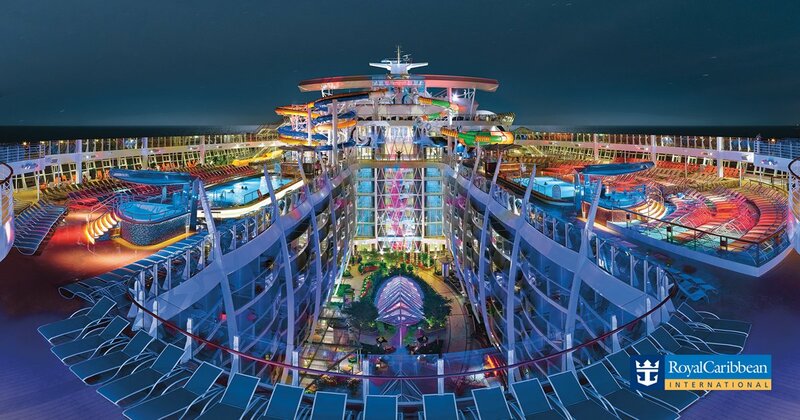 Explore limitless options with plenty of time on board. Plus, with your shipboard spending credits treat yourself to the things you love most - a pampering massage, fine rare wines, indulgent boutique treasures and more. Enjoy a world of choices and the details of your perfect day on board a Trans-Atlantic cruise. Slip into the blissful routine of simple luxury aboard a 7- or 10-day Crystal cruise. Enjoy 2-for-1 fares, up to $2,000 per couple ($1,000 per person) in “All-Inclusive. As You Wish.” spending credits, price guarantee, and free air on select voyages. 2010 represents an exciting milestone in Crystal's history as we celebrate our 20th year of award-winning luxury travel. Explore the world with us and take advantage of our celebratory collection of 20th Anniversary Gifts carefully designed for your clients travel needs. Enjoy never-before-offered value-rich savings from 2-for-1 fares to free air. Now is the time to experience the World’s Best. This plan guarantees the best applicable fare, lowest minimum deposits and flexible cancellation policy - just in case. Book your clients early and give them the best value and peace of mind. Sell three staterooms on any 2010 voyage and you and a guest sail free on a choice of select 2010 cruises. Click here for more details. 2-for-1 Fares are per person based on 50% of the Brochure Fares (note: Brochure Fares, in effect as of 9/21/09, may not have resulted in actual sales). 2011 offer expires September 30, 2010. All fares listed on this Promotion Summary are per person based on double occupancy in U.S. dollars cruise only for category E on Crystal Symphony and category C on Crystal Serenity and do not include port charges which vary by departure. Free air promotion applies to select 2010 sailings and all 2011 sailings; free Business Class air promotion applies to Trans-Atlantic flight only and both promotions are available from select gateways, routes and carriers. $2,000 per couple “All-Inclusive. As You Wish.” shipboard spending credit is the maximum credit available, is non-transferable, cannot be used in the casino, for bingo, redeemed for cash or credit and cannot be applied as a deposit toward a future cruise. All offers may not be combinable with other promotions, apply to first two guests in stateroom or Suite, are capacity-controlled, subject to availability and may be withdrawn at any time without notice. All itineraries, fares, programs and policies are subject to change. For complete details, terms and conditions for the offers listed above, click on the link for each offer. Ships' Registry: The Bahamas. TO YOUR CONTACTS OR ADDRESS BOOK.